Sensitive site: 70,000 square metres of land on Comino was publicised for sale last week in what was then claimed to have been a mistake. In the native Pashto language, gudiparan bazi, or the practice of kite-flying, represents a cult for many Afghanis which not even Taliban State repression a decade ago managed to completely suppress. So much so that in Kabul alone, thousands of kites are still sold on a daily basis, with jangs, or kite-flying contests, being all the rage. In the contest, the aim is to cut your opponent’s kite free by glazing your rope with abrasive glass powder. The contest involves children with their 500-metre-long spools, and even adults, whose spools can reach lengths of up to 4,000 metres, as immortalised in the 2007 movie The Kite Runner. Taking a jaunt from central Asia into the whims of the English language, one en­counters the idiom “to fly a kite”, which is taken to represent the proposition of a stupid or unrealistic idea simply to gauge the public reaction to the idea. Some individuals seem to have a knack for kite-flying here in Malta, with the most glaring example being the “mistake” made by a real estate agency early last week. The agency published an online advert that was offering just over 17 acres of territory on Comino for the stately sum of €100 million. Not being very conversant with the British Imperial System for weights and measures, the term ‘acre’ does not cut much ice with most of us. But when the metric system is applied, one quickly realises that an acre is equivalent to slightly more than 4,000m2, such that the ‘parcel’ of Comino territory up for grabs totalled a non-insignificant 70,000m2, representing seven hectares and over 65 tumoli. This now places things in a new perspective, especially when one applies a few analogies, such as the same footprint being equivalent to 23 spanking new fuel stations and to seven full-size football pitches. Needless to say, the advert kite soared very high, going viral within a few minutes, so much so that the real estate agency in question quickly back-pedalled, claiming that the advert had been generated internally for “training purposes” and had inadvertently been published online without clearance from any of the agency’s top brass. Run-of-the-mill blunders, which can very easily happen in the real world, you might accept. True, if only the site featured in the advert did not happen to be a sensitive and contentious one, constituted by the hotel itself and the adjacent bungalows in the environs of San Niklaw and Santa Marija bays. 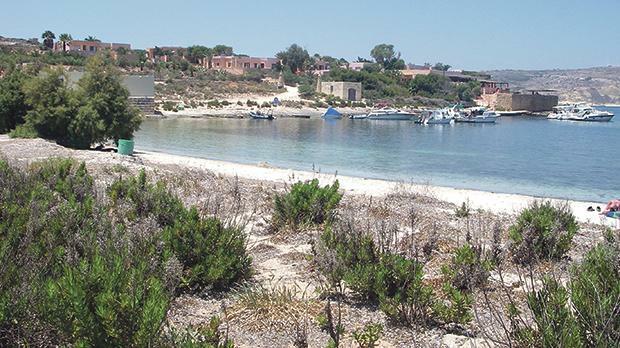 These properties rest on government land leased to the company Kemmuna Ltd, which is reportedly in the process of formulating a development plan for the area, as cited in the management plan (available online at era.org.mt) for the Comino Natura 2000 site. The real estate agency might have hastily retracted the advert and provided an explanation, but given the current upsurge in land speculation, which spares no site on the islands, we are to be excused for wagering that this was simply a kite-flying exercise, bent on evaluating the public mood out there, a dress rehearsal of sorts in preparation for the real public outcry when such plans materialise in future. It was no surprise to see the degree of cyni­cism expressed by online commentators, despite the agency’s assurances, with the Maltese public having grown wary of the foibles and ploys resorted to by developers. If one had to underscore a silver lining from this charade, it would be the coveted place that Comino holds in the Maltese collective imagination, with the islet seen as the last pocket of wilderness in an otherwise ravaged archipelago. One hopes that such momentum is harnessed at the right moment, when the kite goes down and before the excavators move in. 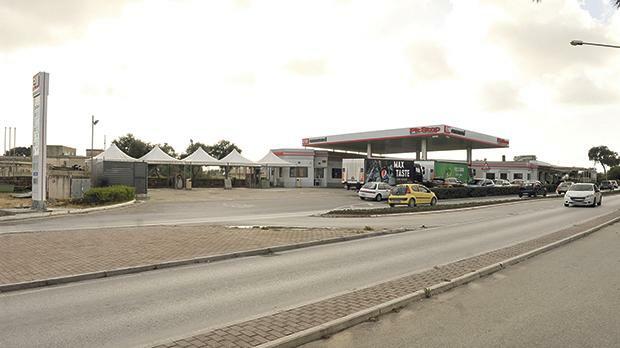 As if anyone needed further proof that the Maltese brass neck has few equals, one simply has to look at the Pit Stop fuel station site in Attard. After the fuel station approval way back in 2006 on ODZ land (resulting in the uprooting of mature Aleppo pine trees in the process), which was anomalous in view of the vehement objections of the case officer of the day, the owners sought and obtained approval for the construction of a second floor in 2017, so as to fit in a number of offices (originally, the application was for a restaurant, which was later revised). As if this did not suffice, the same opera­tors are now proposing a further 1,500-square-metre intrusion into contiguous ODZ land to house a cafeteria and a field parking lot. In its objections to the proposal the Attard local council nailed it when describing the proposal as “an unjustifiable sprawl into ODZ”. It has been joined by the Environment and Resources Authority, which remarked that the approval of the proposal would result in further rural land uptake and in topsoil removal, when such commercial activity could easily be sited within the confines of development zones. A pattern seems to be emerging here: you apply for a fuel station which, once ap­proved, you then extend through ancillary commercial activities, such that the fuel station only serves as a convenient façade or entry gateway for the more lucrative commercial activities affiliated to it. Time will tell if our much vaunted planning system will once again play second fiddle to applicants with a brass neck.